In 2018, the much anticipated new iPhone product was finally released today. The new product names are iPhone Xr, iPhone Xs, iPhone Xs Max. Compared with the 2017 iPhone X, the three models have not changed much in design, so there are Many Apple accessory manufacturers immediately launched a new iPhone case, including the famous wallet case manufacturer – CaseMe . This is the CaseMe 007 series. Its main feature is that it has 14 slots for storing credit cards and ID cards. Although it can hold up to 14 cards, but the wallet is slim and easy to carry. The housing has a magnetic closure that also enhances screen protection. Precise cuts leave important features such as camera speakers and charging ports for easy access without the need to disassemble the wallet. And support wireless charging function. 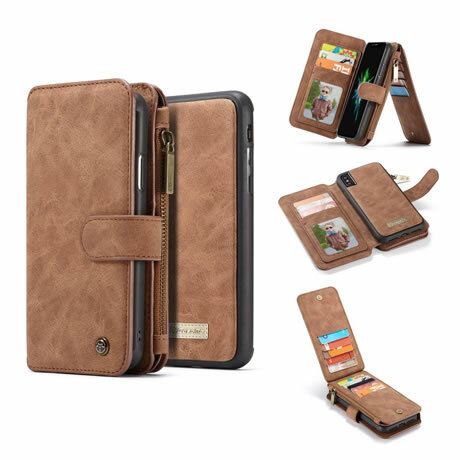 If you like this caseme wallet case, you can find more information here, iPhone Xr Wallet Case, iPhone Xs Wallet Case, iPhone Xs Max Wallet Case.